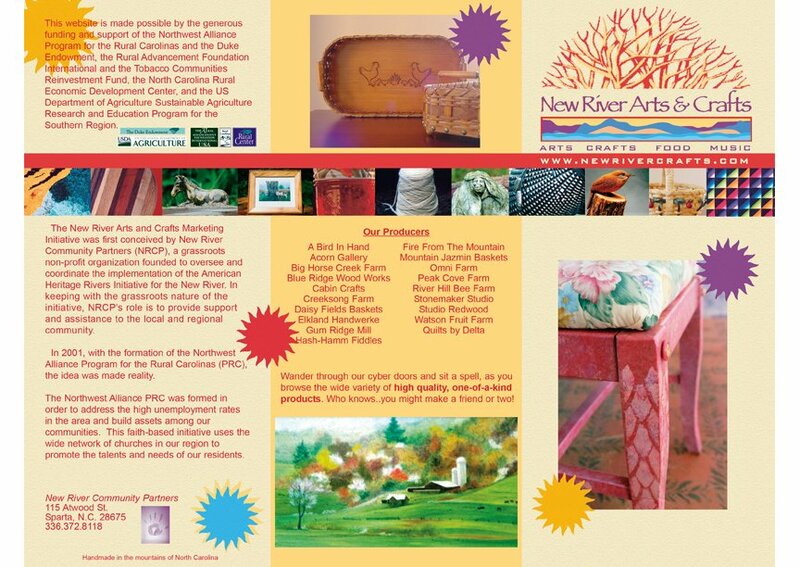 Designed and Published for New River Arts & Crafts. 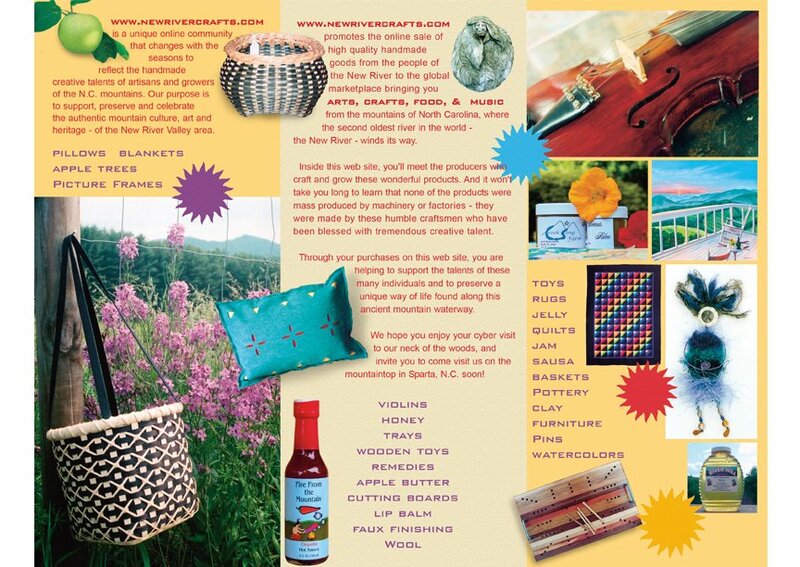 This brochure is a 8.5″ x 11″ tri-fold, full color, 80 lb gloss. Created in Indesign and Photoshop.